The ambitious but little-watched Al Jazeera America news channel will shut down on April 30 after a little more than two years on television. "There are executives here in tears," said one senior staffer. One of those executives was Kate O'Brian, Al Jazeera America's president, who tearfully told the assembled staff about severance packages. "I greatly respect the unrivaled commitment and excellent work of our team, which has created great journalism," Anstey said in the memo. "We have increasingly set ourselves apart from all the rest, and the achievements of the past two-and-a-half years should be a source of immense pride for everyone." Al Jazeera said it would not give up on the American market entirely. The memo indicated that the company plans to "expand its existing international digital services" in the United States, with more details to be released in the coming months. But the television network venture is over. Al Jazeera America invested in serious, in-depth reporting and racked up many journalism awards for doing so. But its ratings have remained anemic since launch. In prime time the channel only averages between 20,000 and 40,000 viewers on a typical day. CNN, Fox News and other cable news channels have well over ten times as many viewers. The channel's end appears to have been prompted by the plunging price of oil, which dropped below $30 a barrel on Tuesday for the first time in 12 years. That's significant because Al Jazeera America is owned by Al Jazeera Media Group, which in turn is owned by the government of Qatar. A source at the company's headquarters in Doha said that Al Jazeera was planning on making cuts all over -- perhaps up to one thousand jobs -- due to the falling oil prices. "Al Jazeera Media Network had to cut, and instead of making it across the board or anywhere else, they decided to chop Al Jazeera America," the source said. Along with falling oil prices, another factor for Al Jazeera's bosses was the channel's status with cable distributors. Some of its carriage contracts are due to expire soon, and distributors are eager to stop carrying low-rated channels. 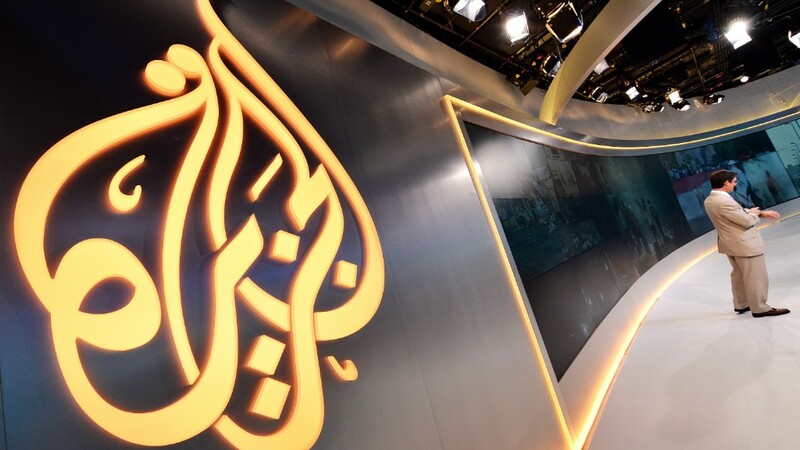 In an email to staff on Wednesday, Anstey said that the decision to pull the plug on Al Jazeera America was "driven by the fact that our business model is simply not sustainable in an increasingly digital world, and because of the current global financial challenges." "Viewers will see a news channel unlike the others, as our programming proves Al Jazeera America will air fact-based, unbiased and in-depth news," the channel's former CEO Ehab Al Shihabi said around the time of the launch. The channel was simultaneously a beacon of hope and a subject of ridicule among members of the media. There was widespread surprise when the channel opted to keep its Arabic-sounding name. Rival executives had doubts that the channel's staid brand of news would ever catch on. But from the beginning, Al Jazeera America has been beset by lousy ratings and internal strife. Two former employees filed lawsuits last year against the company with charges of anti-Semitism and sexism in the newsroom. Wednesday's announcement comes just weeks after Al Jazeera America broadcast a provocative documentary about sports doping that linked Peyton Manning's wife to shipments of human growth hormone. Manning denied some of the claims and two other athletes named in the documentary filed lawsuits against the channel. There is no link between the controversy and the channel's closure, however. The investigative unit that produced the doping documentary will remain in operation.